Data is being collected, processed, and utilized at an ever-increasing rate thanks to these technologies, and for the very first time helping to carry out predictive maintenance. Anticipating the change that’s about to come, several companies have started assessing their current data systems and are inquiring ways to take advantage of the IIoT systems. For instance, the use of the IIoT is on the rise within the transportation sector. The Transparency Market Research anticipates that during 2018–2026, the market is expected to reach an estimated worth of USD 991,562 million. The primary purpose of the Industrial Internet of Things is to improve existing processes and give way to new ones, which will improve operational efficiency. In the upcoming years, businesses will need to realize the importance of predictive analysis and build processes around the available technologies. This will allow them to utilize minimal resources while greatly improving production. End-user segments will mostly belong to manufacturing, transportation, power generation, oil and gas, and healthcare industries where the need to analyze data is in abundance. It has been estimated that manufacturing will account for 35% of the IIoT market, with healthcare expanding at the highest rate. Geographically speaking, it’s estimated that North America will contribute the most to growth followed by Europe and Asia Pacific. Europe will witness fast growth thanks to inter-governmental initiatives involving Industry 4.0. 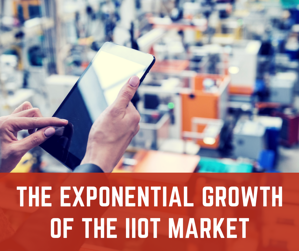 IIoT has also breathed new life into technology powerhouses such as IBM, General Electric, and Siemens, as they now have a whole new arena to explore, develop, and conquer. This will only stimulate the economy, create more employment opportunities, and bring stability into a wide range of industries that ultimately impact the common populace.